While most of us might have been happy for Kendrick to do 2015’s To Pimp a Butterfly all over again, two years has been a long time in politics, music and the Compton rapper’s life. DAMN. sees Kendrick kicking back at a world that has given him celebrity and influence and then blamed him for the fractured society he hoped to unite. Since Kendrick captured the world’s attention with his breakthrough single Swimming Pools (Drank) in 2012, there was a pleasing evolutionary pattern in his art. good kid, m.A.A.d city kicked down the door to worldwide fanfare with slick lyrical weaponry and stark insight into the life of a young black man in modern America. To Pimp a Butterfly took things further with complex arrangements which played as both experimental and meticulously crafted. Its multi-layered myriad of saxophones, harp, deep bass, jazz-piano and more established Kendrick and his craft as unbound by generic labels like “rapper” or “hip hop artist”. Because while it was certainly a hip hop record, it was undoubtedly so much more, elevating Lamar to the level he rightly claimed should be his. Essentially he has become the Wes Anderson of rap – a peer-given right to claim that he officially has no peers. His art is judged exclusively against his previous work. 2015’s near-flawless To Pimp a Butterfly articulated in the most vital fashion the struggle, pitfalls and failures of the young African-American and left the listener with a renewed feeling of hope; fittingly backdropped by the #blacklivesmatter movement. It was as though he had called out all Afro-Americans (and indeed the listener) for their own role in the hands they’d been dealt by so boldly exposing his own flaws and weaknesses and laying them unashamedly bare for the world to see. DAMN. might feel less ambitious in its scope but its not like Kendrick has taken a backwards step either. The record features production work by Top Dawg Entertainment Label-Head Anthony Tiffith, Sounwave, Mike Will Made It and more. It also boasts a widescreen selection of collaborators like Rihanna, U2 and James Blake that he successfully manages to mould into his own musical vision. Weighing in at over 54 minutes there is a lot to unpack from an artist that is already synonymous with complexity, intertextuality and intrigue. Comparisons with its predecessor are fairly unavoidable. To Pimp a Butterfly‘s multi-layered showcase of sound certainly raised the bar for what could be achieved on a single hip hop record. DAMN. is nowhere near as flashy but then the world has seen a lot since 2015. 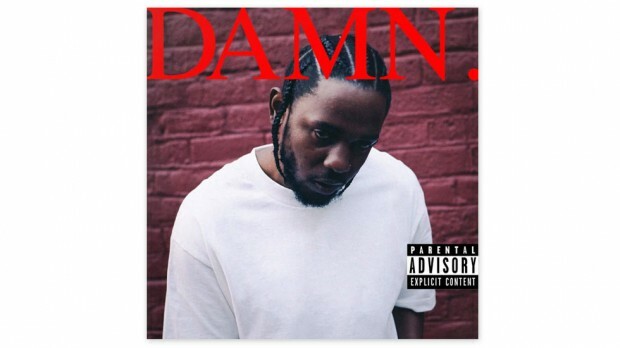 Kendrick’s seen what you’ve seen, and he’s similarly distressed. No longer content to abide the rampant bias and fear-mongering by FOX News, Lamar’s interjectional dissections of the network and its cronies punctuate DAMN. The album’s foreboding opener BLOOD samples a typically moronic back-and-forward between Fox and Friends’ Eric Bolling and Kimberly Guilfoyle quoting and criticising a line from To Pimp a Butterfly single Alright. DAMN. is brutally introspective and the lyrics are every bit as insightful and provocative as its predecessors. The record is a searing, uncompromising assault on Man’s lesser self – his sinful nature. It is not just the breaking down of values and standards on a global scale that has Kendrick worked up, but the erosion of Biblical morality prevalent in us all. In this sense, DAMN. is a cautionary tale; Kendrick again lays bare his own flaws so that he can provide an example of large-scale humility for us all to follow. This kind of ambition sets Kendrick apart from other artists. His desire is to teach first and entertain second – it’s just that he’s so damn good that most of the time he succeeds at achieving both. It is quite ambitious to release an album with as many layers as this. On face-value, DAMN. is a blistering rap record with the sharpest rhymes you’ll hear this year and fresh rhythms to boot. Then on closer inspection, you begin to sense the self-loathing Lamar feels when he succumbs to his lesser nature. Any sense of braggadocio (and it arrives, particularly in the front half) is ultimately reconciled with the sobering awareness of his own mortality, and contextualised accordingly. As a result, Lamar excuses himself eternally of being seen as “preachy”. So when he makes short work of those consumed by self-promotion in lead-single Humble with that simple yet effective hook “sit down, be humble”, we are inclined to listen. And we can’t help but agree when Kendrick assesses the state of his country, his world, the evil and the corruption which plagues it, which plagues ourselves, and realises there’s only one word for it.